We are Jim and Michelle Telman. 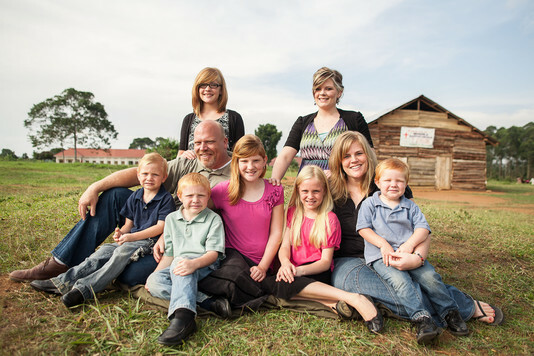 Our family has been called to serve God in Uganda, East Africa. We have been serving Him in Mbira, Uganda since May of 2012. We have been able to assist Pastor JJ Kalanzi and missionary Tony Applegate with the work in Mbira. God has called us to help start Mbira Bible College. We began in Nov. 2013 and by June of 2014 God has blessed with more than 50 students. We also have an opportunity to take 8 of the young men to a Tri-annual Bible Institute taught by Keith Stensaas at Masaka IBC 3 times per year. Michelle has been able to start playing the keyboard for the church choir as well as teaching some of the children in the boarding section how to play. She is also working with some of the older girls on sewing.